Submitted by Matthew Tonge this article about bet sizing in poker belongs to the Poker Strategy Series. This series of articles covers 5 key steps to go from novice to a winning player in poker. The third step deals with bet sizing in poker. Summary: Remember what you are trying to achieve by betting or raising. The size of your bets and raises should be big enough to achieve this. So you now know when you need to bet, and why. But how much? Like we said, you don’t want to give away cheap cards. If you want to raise pre-flop in the early stages of a tournament when the blinds are 10 and 20, making a minimum raise to 40 is usually a bad play. If you have a strong hand, and want to minimize the amount of opponents you have, this is unlikely to achieve that. If a player was willing to pay 20 chips to see a flop, they will probably pay 40. 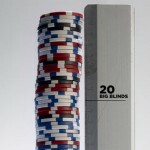 Generally, you want to raise to 3 to 4 times the size of the big blind in the early stages when the blinds are small. The same applies to cash games when the blinds remain the same. 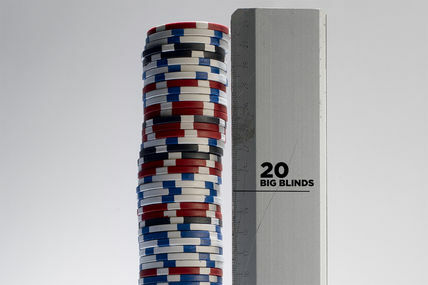 In the later stages of a tournament, when the blinds increase, 2 ½ to 3 times the big blind should be enough. If your opponent has a flush draw and there is 500 chips in the pot, it is pointless betting 50. Your opponent is not going to fold for 50 chips. You should generally bet between half the size of the pot and the size of the pot. So, in this case, between 250 and 500. Also, if you have a very strong hand on the river, for example, and you want your opponent to call your bet, you must size your bet accordingly. Let’s say there is 1,000 chips in the pot, and you both have around 3,000 chips left in your stacks. Going all in is likely to scare your opponent off most hands, and if you don’t have the absolute nuts, then a shove will only be called by a hand that beats you. Betting around half the pot is much more likely to be called by a hands which yours beats but still has some showdown value. For free poker tutorial videos, please visit my youtube page at you tube.com/unkempt27.